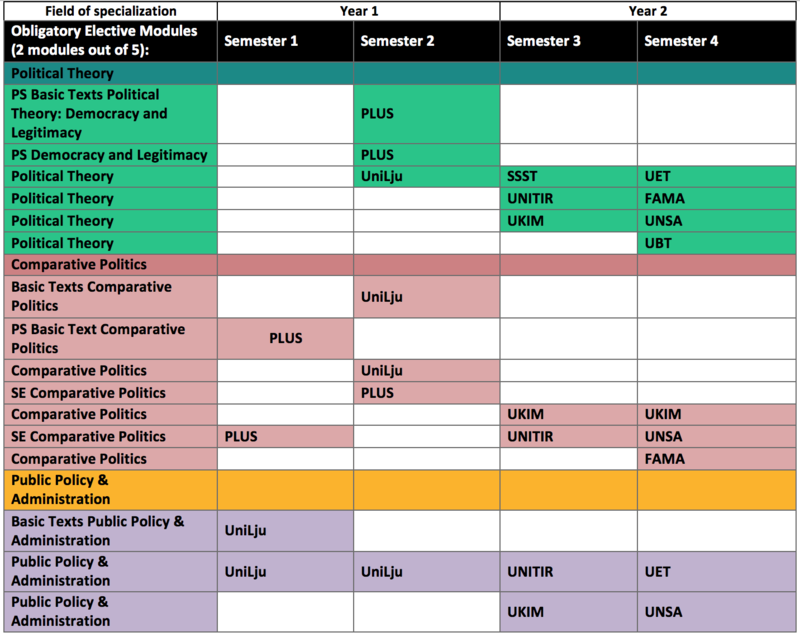 The Joint Master’s Programme in Political Science – Integration and Governance offers five modules, from which students will need to select two in order to pursue their field of specialization. The modules are listed on the right column in the table below. 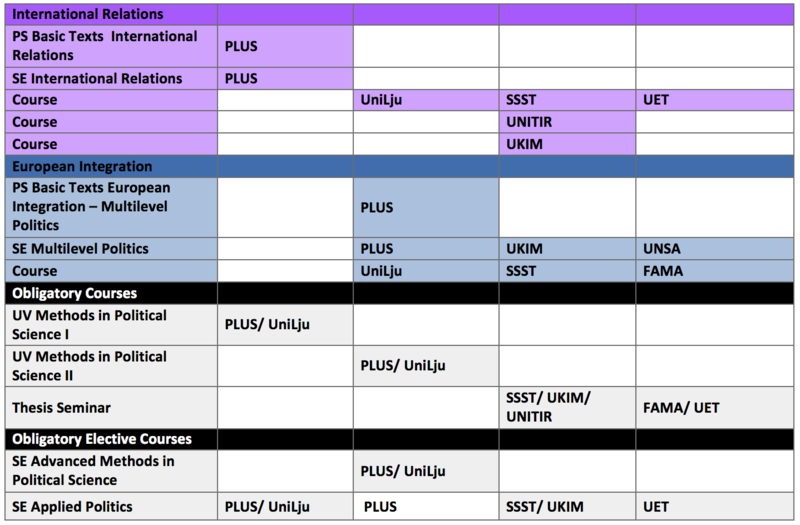 Below each module, the specific courses are listed. Then, the offers from each partner university for each of the modules and specific course can be found per each semester and each year. In the application form, there is a special section for Field of Specialisation and Mobility options, where students need to provide their choices. Students can list their preference for the EU universities for Year 1 per each semester and then their provisional preferences for one of the Western Balkans Universities for Year 2 per each semester. Students should refer to the specific courses offered at each partner university in the table below, prior to making provisional choice of mobility options for year 2 of PoSIG.